Intensifying the B2B meetings programme with an outstanding participation of European shipowners focused on special ships, betting on the advisers in the search for speakers for the congress section and attracting a greater number of international sector meetings are some of the strategic objectives of WORLD MARITIME WEEK. The second edition of the forum will take place on 12-14 February 2019, reinforcing its status as a unique event in its field in Europe for the naval, fishing, port and energy sectors. 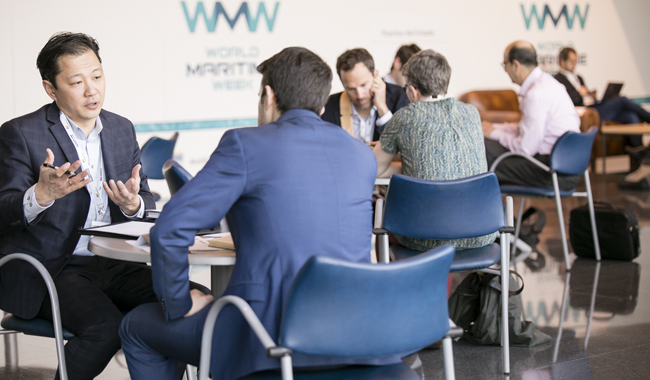 The WORLD MARITIME WEEK sales team has reserved all the available exhibition space and is already closing the titles of the thematic blocks of its four congresses: SINAVAL, EUROFISHING, FUTUREPORT and MARINE ENERGY WEEK. In the naval field, prescribers (shipping companies and charterers) will once more be the target speakers. In addition, the congress will also include a military day with a civil section in which maritime rescue, customs and the Spanish military police will participate, among others. With regard to fishing, there will be a day dedicated to tuna-freezing vessels, in which the participation of African representatives of the highest level is confirmed, and another sectoral day aimed at the rest of the fleet. The Advisory Councils will also take advantage of this space to hold their corresponding meetings. In ports the theme will be focused on digital transformation and green ports, which will attract port operators and authorities with investment projects. Finally, the energy section will offer conferences on oil & gas, ocean energy and support vessels. The interaction between sectors represents a great opportunity, so the B2B programme for direct contact with other professionals is one of the most valued spaces of WORLD MARITIME WEEK. For the current edition, the number of ship owners and shipyards will increase, mainly from Europe. The list of profiles of greatest interest, in the definition of which the exhibitors themselves have also participated, is closing this month, and Norway, Germany, France, Italy and Finland stand out as priority countries. Singapore, Indonesia, Malaysia and the Philippines are in a second block. More than 100 exhibiting companies have reserved the available space in the Luxua hall, among which are the main national shipyards, auxiliary industry companies (especially propulsion) and sectoral organisations. Finally, WORLD MARITIME WEEK will be the framework where other networking initiatives are developed, such as the 4th FINE Awards, considered one of the major events in the sector, or private cocktails for exhibitors, speakers and purchaser delegations.